Early on Saturday morning, 28 September, Makhaza learners joined many other learners from around Cape Town at the Khayelitsha Multi-Purpose Hall. The unconventional is presented by Rethink Leardership which is an opportunity to see presentations by amazing social innovators and to interact with them. It is where they were able to share ideas with other learners from different schools and be their creative selves. The diverse group of individuals shared their ideas about how to tackle issues that affect their communities. Ndilisa May a grade 11 learner spoke about the event, “Unconventional was a great platform for us because we had a chance to talk to awesome young innovators and to share ideas with them. The exciting part was that some of the IkamvaYouth learners were given a chance to share information about their Community Action Projects. It was inspiring as many are willing to take time and make a positive change in their communities.” The programme is about bringing out the leadership skills that all these learners possess and using these skills to better their lives and the communities they come from. “Communication was being highlighted, because in order to know something you have to interact with others, it is also easy to work with other people when you have communication skills. You achieve better results when you work with people rather than alone”, said Talitha Maliti a grade 11 learner. 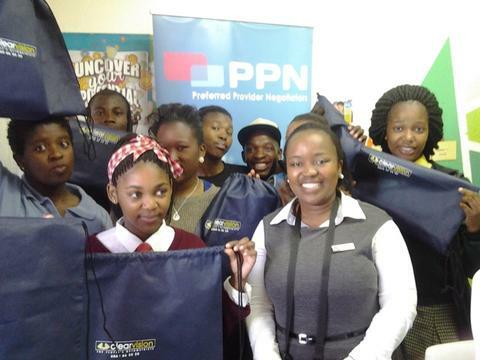 It was a day well spent for the learners of Makhaza as they commended the event as a success. 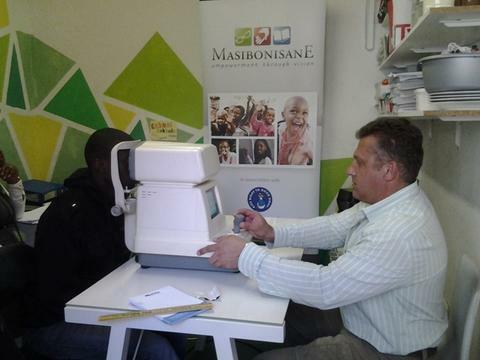 On the 11th and 12th of October 2013, Masibonisane visited the Nyanga branch and conducted eye screening for Nyanganites. The visit was a result of the Nyanga branch committee’s request that learners get their eyes tested, since some learners struggle with their eyesight, leading to difficulty in reading. 29 learners were screened, of whom 8 will get spectacles, generously organized by Masibonisane. Masibonisane works with previously disadvantaged children all over South Africa, enhancing education through sight. The organisation does this by providing access to optometric evaluation, identifying special needs and referring and/or providing suitable eyewear to participants. This collaboration with Masibonisane resonates with IY’s Vision 2030, which will be achieved through, amongst other means, collaboration with partner organisations, to ensure that 1 million learners reach and pass Matric by 2030. IY Nyanga offers a very special thank you to the Masibonisane team for providing this essential service to ikamvanites. To mark IkamvaYouth’s 10th Anniversary, we’re celebrating the Superheroes who’ve helped us to achieve the landmark successes worth celebrating. 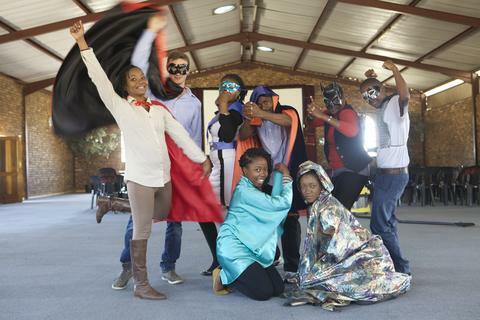 Read all about them and our super achievements in the latest IkamvaYouth 2012 Annual Report. Among superheroes, lessons learned and our vision for 2030, you’ll find a board game where you can play the highs and lows of IkamvaYouth’s first decade. Download the Game tokens here.